My experience in executive leadership coaching has taught me many things. One of the most important is that conflict resolution is a big challenge to even the most competent leader. Effective leaders must have good conflict resolution skills, yet few of us are ever taught how to do this. Most people don’t like conflict, but handling it well is a sign of maturity and strength. Conflicts are inevitable, and anyone with even the slightest level of maturity understands this and understands that conflict is not the end of the world. While there may be a few people who are entertained by others’ conflict, most of us don’t enjoy dealing with it. That said, conflict is often a necessary step forward, and a leader’s skill at handling conflict can put him or her at a higher level of effectiveness and ensure a greater legacy. Conflicts offer everyone the opportunity to address sometimes-hidden problems that are brought to light. Effective conflict resolution can increase people’s understanding of one another and increase both their self-awareness and empathy. Teams that resolve conflicts effectively often find that rather than being alienated from each other afterward, they’re more cohesive than before. After all, they’ve just demonstrated that they can work together, and that’s good for developing mutual respect. Finally, effective conflict resolution results in individuals re-examining goals and expectations and gaining a better understanding of the perspectives of others. The Thomas-Kilmann Conflict Mode Instrument delineates five conflict-handling styles: competition, collaboration, compromise, avoidance, and accommodation. 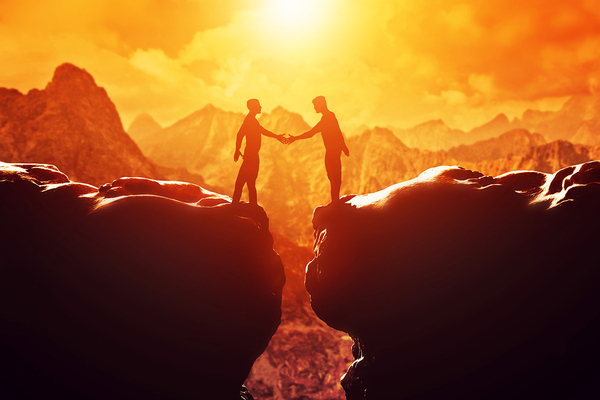 You may look at these and say, “Isn’t it obvious that collaboration is the best way?” That may be true in many cases, but in fact, the other styles of conflict resolution have their place as well. Competition can be effective when quick, decisive action is needed, as when two providers compete for a contract with a plum client. Accommodation may be the way to go when preserving harmony is paramount, such as during holiday gatherings with family. Avoiding conflict can’t be a permanent solution, but it can be used temporarily to allow feelings to cool off before tackling the problem. And compromising, where everyone gets something, but nobody gets everything they want, can work just fine when the potential disruption of the conflict is simply not worth the hassle of more intensive conflict resolution methods. Effective conflict resolution is about bridging gaps, not building walls between conflicting parties. When everyone makes the effort to separate emotions from the solution process, there’s more of a sense that “We’re all in this together,” and there’s a better chance that a workable solution will be created. Leaders can improve their conflict resolution skills in several ways. First, it’s important for leaders to continually work on their own emotional intelligence and self-awareness. Leaders should be alert to indications that current processes are struggling or broken and need to be addressed. Likewise, they should be aware of endemic team issues and look for ways to address them before they become unwieldy. And they should always be aware of the bigger picture, of the overarching goals that are the reasons for the organization and the team to move forward. Executive leadership coaching can be an effective process for the leaders who want to improve conflict resolution skills. But they must be aware of the effort they will be required to make and not expect a leadership coach to come in and wave a magic wand to fix everything. Conflict will be around as long as there is life. We may not like it, but it is a huge factor in human advancement, and the more effectively we learn to deal with it, the more we can accomplish together. Thank you for your feedback Sanzan! – very much appreciated. A very practical approach to every day’s personal and groups’ interpersonal problems. Thanks for sharing. We definitely agree with you John! Thank you for your feedback. A very practical approach to personal and a group’s interpersonal relationships problems. A good read. A good read indeed! Have a great day!